Fortnite is finally taking advantage of one of the few markets it had yet to penetrate: Android phones. According to Epic Games, that’s coming later this summer. 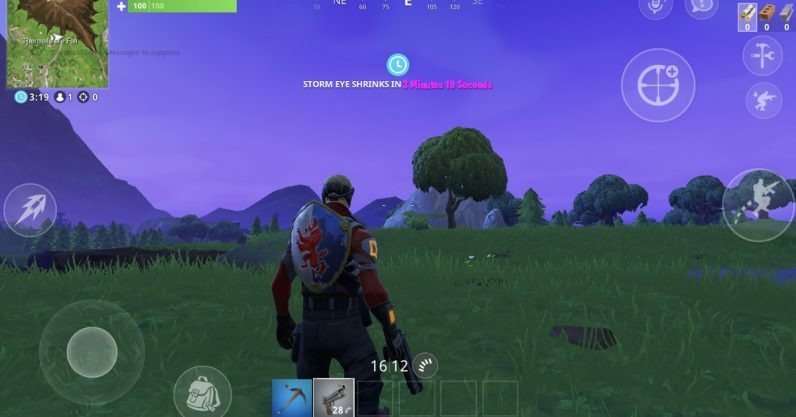 Fortnite is coming to Android! We are targeting this summer for the release. We know many of you are excited for this release, and we promise that when we have more information to share, you’ll hear it from us first. While Fortnite mobile probably isn’t the most widespread iteration of the mind-bendingly popular game, it’s fairly profitable for Epic. According to Forbes, the game nets as much as $1 million per day. And now it’s coming to Android, I’m gonna go out on a limb and guess that number will double at the very least. What’s next: When this update hits, Fortnite will be available for just about every device out there. You’ll be able to play if you have a PC, Mac, PS4, Xbox One, iPhone, iPad, or Android device. I’m willing to bet every single person reading this article has at least one of those somewhere on their person — and if you don’t, how are you even reading this? That said, there will be one more device Fortnite has yet to arrive on (well, three, technically, but I’ll get to that in a moment). It’s still not available for Nintendo Switch — which, as pairings go, is like pairing ice cream and fudge sauce: they’re both so good there’s no reason to keep them separate. There’s a rumor going around that we’ll here about a Fortnite Switch port at this year’s E3, but take that with a grain of salt. Also, the other two current-gen devices it’s not available on are the Nintendo 3DS and the PlayStation Vita. However, in the former’s case I doubt Nintendo would go to the trouble of porting to much older hardware. In the latter’s case, I should probably stop flogging that dead horse.